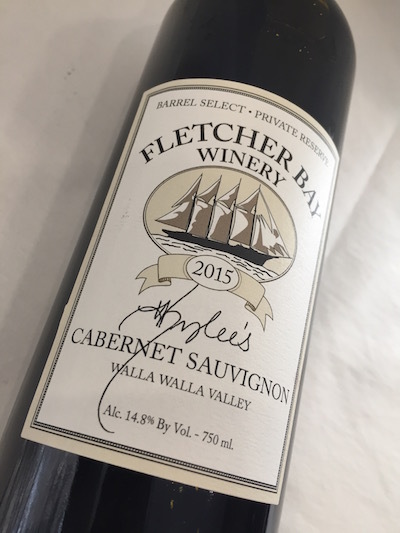 Fletcher Bay Winery of Bainbridge Island, Wash., reached across the Cascades into the Walla Walla Valley’s Los Oidos Vineyard — managed by acclaimed viticulturist Kenny Hart — for the fruit for its 2015 Cabernet Sauvignon. Those grapes produced a wine with dark blue fruit and spice aromas, followed by black cherry and black currant flavors, spice and generous tannins sporting dark chocolate elements in its lengthy finish. This won a gold medal and best of class at the sixth annual Cascadia International Wine Competition. I agree. An outstanding wine and one of my favorites!